The Playoffs: What Would They Mean? Sitting at 40-40, the Nets are presented with a very simple playoff scenario. Win one of their last two games, and they make the playoffs. They can make the playoffs as well if they lose both games, although that would require all sorts of help, from a variety of other teams. Clearly, the Nets are THIS close to a playoff berth. It begs the question. What does it all mean? In life, it is good to have short term goals and long term goals. You need long term goals because, at the end of a particular cycle, you need something to aspire to (whether the cycle is your life, the next five years, or otherwise). And it is true that the Nets, playoffs or not, have not yet accomplished Sean Marks’ long term goal. Marks long term goal? Building a sustainable championship contender in Brooklyn. The type of team that makes the playoffs without doubt and, when folks bring up title contenders, is typically mentioned by all or by many. Certainly, the Nets are not quite there yet. They would agree with that. And I suspect you, the reader, would too. It is, for this reason, that I would not declare the Nets rebuild, as a whole, a success – the picture has not yet been painted. However, in life, you also need short term goals. If all you have are long term goals, reaching them can become overwhelming. You may, for example, want sufficient bank account funds to retire at 65. That is an overwhelming goal at say, 25, if you do not have short term goals along the way to keep you on task. Maybe your short term goal is smaller – you just want enough money to eat a dinner out this month. Making the playoffs? That would be an excellent short term goal for these Nets. It should be noted that, playoffs or not, the Nets have substantially improved this season – and have done so without mortgaging future flexibility. In fact, with adding draft selections, a slew of one year signings, and unloading Mozgov, the Nets actually improved by 12-14 wins this year (two games left), while accruing MORE future flexibility than they had entering the offseason. Forget mortgaging the future – the Nets firmed up their future this past summer, yet improved on the court. That makes for a tremendously successful season — this short term snapshot of the rebuild, IS a success. Nevertheless, making the playoffs — while not required to cement what I just said, would be important for many reasons. For starters, one’s perception of their standing is in some ways more important than their standing. D’Angelo Russell had a great year. Caris LeVert had a very good one, when healthy. You can go on down the line. The Nets should all should hold their heads high, feel good about where they are headed, and use that as motivation for doing more. But doing that will certainly be easier for them if they make the playoffs. They will all feel much better about where they are as a core — even if they should feel that way regardless. Making the playoffs provides validation — partially internal, and partially external. The benefits to the roster go further than that. There is no experience quite like playoff basketball. My own experience, as an athlete but not a professional, is certainly not identical, but I draw from it. I recall, as a junior tennis player, playing well in local tournaments, and then making national tournaments against better competition. I was ranked between 100-200 in the country, playing other players in that range. I felt good about where I was. I felt confident. But what happened in nationals? I played players ranked top 50 in the country. Top 20. Top 10. The competition ratcheted up – from pretty good, to the best of the best. It was a great experience for me. That I earned making these events motivated me to do more. What also motivated me? The humbling experience of getting beat by these much better players. Losing to players like that, seeing the difference in level, was in some ways a wake up call; I saw that, THAT is what it’s like, against the best of the best. That motivated me when I got back home to work harder – work smarter – to get better. That’s an experience I want for Russell. For LeVert. For Dinwiddie and Allen, and the rest. I want D’Angelo to see what it’s like when a playoff defense schemes for him over the course of two weeks. I want LeVert to see what happens when teams go under every screen and bait him to shoot threes. That certainly motivated LeBron to improve his jumper after the 2007 finals. I want that experience, for this group. I want them, after a series against Milwaukee, Toronto, Philadelphia, or Boston, to see what the gap between pretty good and great is — and to be motivated by that. Another benefit? If the Nets build a perennial contender, they already have some playoff experience and are not starting from scratch in that regard (like say, Denver is this year). The playoffs also mean Kenny being tested as a coach in a good way. Coaching in the regular season, with games against different opponents coming a mile a minute, is mostly about sticking to your principles (we force midrange jumpers, we ice the pick and roll, etc). Coaching in the playoffs is a different beast – you tailor schemes to your opponent and adjust to the opponent as a series goes on, much more than you do in the regular season. When opponents solve D’Angelo, go under on LeVert, and etc, how does Kenny adjust? When his first adjustment is countered, what’s the next adjustment? Atkinson has shown that, for purposes of a rebuild, he is a quality coach. But to be a great coach, you have to win at the highest levels (50+ win seasons, playoff series wins, etc). How does Kenny handle the higher stakes moments? If we make the playoffs, we get to start learning about that (we likely do not get answers this year, not with the talent gap the Nets would face in the playoffs). The playoffs also xould mean a lot in free agency and the summer. Sure, the Nets would only win 1-2 more games as a playoff team, than a lottery team. In theory, that should not mean much to free agents; and maybe it will not. But players are not following the Nets as closely as we all are. Seeing them on a playoff stage against the best of the best being feisty, perhaps losing but making it a pain for their opponent, could move the needle with big time free agents. It certainly moved the needle for Al Horford when he saw how hard the 2016 Celtics fought in a first round loss. It definitely moved the needle for David West when he saw how scrappy the 2011 Pacers were in another first round loss. 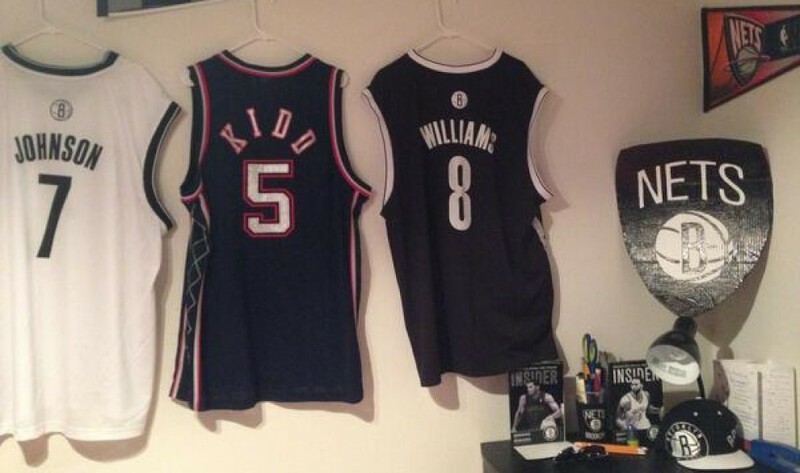 And last, but certainly not least, the playoffs mean a lot to the Nets fanbase – the fans deserve a playoff run. For nearly a decade now, the Nets have been snakebitten, in more ways than one. Bottoming out in 2010 did not culminate in winning the lottery. Deron Williams fell off in a way no reasonable person could have foreseen. The Nets top three protected a lottery selection to acquire Gerald Wallace. Right on the cusp of retaining the pick, the ping pong balls fell the wrong way. The Boston trade? All risks accounted for, the risks manifested in a more severe manner than any objective person anticipated. The 2016-2017 goal of Jeremy Lin stabilizing the Nets? His hamstring did not comply. The 2017-2018 goal of a Lin-Russell tandem? Russell played 48 games and had knee surgery. Lin played three QUARTERS. Even this season, after a fun Caris LeVert start, nearly appeared completely ruined because of a horrific looking leg injury in the fourteenth game of the season. I probably missed some examples of how snakebitten the Nets have been. But through it all, a loyal set of fans – completely blameless in the series of unfortunate events – has stuck with the team. Enduring year after year in the hopes of better days. The fans deserve a playoff berth. All of them. All of us. Yes, the playoffs as a low seed is not the ultimate goal for Sean Marks and Kenny Atkinson. But it is an excellent short term goal and would help this rebuild moving forward, on many levels.